Did the Nazi posters, of the 1930s, help a relatively unknown man from Austria—Adolf Hitler—to get known and then elected? 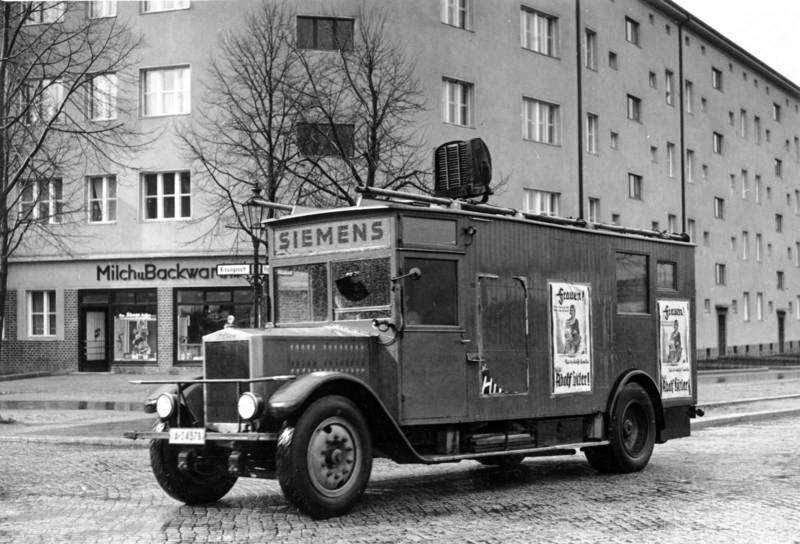 As vehicles with loudspeakers moved through German neighborhoods—like this Siemens Van in 1932—propaganda posters, like the one depicted at the top of this page, were part of getting the message out. Would an approach like this work in the 21st century? Why, or why not?